To look at the happy smiling faces of our campers from years past, you can rest assured our 47th year will be filled with excitement, challenges, and relaxation! 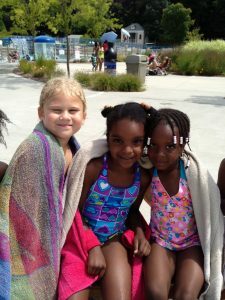 We provide fun-filled summers for thousands of youngsters ages 4-14 years in the Bronx, Manhattan, and Westchester County. Over the years, our camping philosophy has remained the same – to ensure a safe and memorable camp experience by combining a diversified program of physical activity (swimming, athletic activities such as tennis, basketball, soccer, track & field, football, whiffleball, volleyball, miniature golf, etc.) with the excitement of various trips and special events. Daily bus transportation is always included in our tuition. We use only state certified drivers and Board of Education yellow school buses and vans. 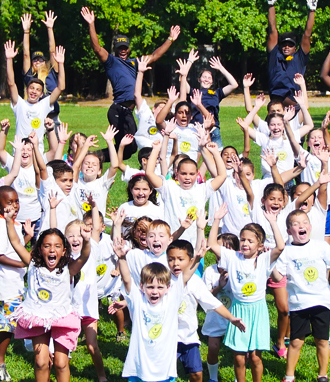 Young People’s Day Camp of Westchester offers parents value and convenience. We offer 2-8 week programs and tuition always includes EVERYTHING (except lunch and our bi-annual trip to Sportime USA.) There are no hidden costs. Enrollment begins with a small deposit, with the balance being paid in monthly installments. Please look over all the information provided on our website. Click on Contact Us to request more information about our camp, or to enroll your child. Browse through the pictures of happy faces on our Activities page or A Typical Day to see what your child’s summer 2019 will be like. And, please feel free to call us with any questions or to arrange for a personal visit with our director. We look forward to serving you and your children.